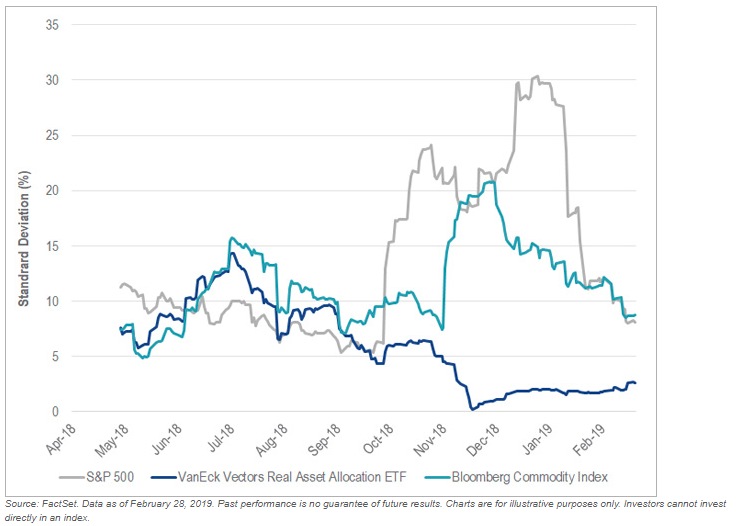 The VanEck Vectors® Real Asset Allocation ETF (RAAX®) uses a data-driven, rules-based process that leverages over 50 indicators (technical, macroeconomic and fundamental, commodity price, and sentiment) to allocate across 12 individual real asset segments in five broad real asset sectors. These objective indicators identify the segments with positive expected returns. Then, using correlation and volatility, an optimization process determines the weight to these segments with the goal of creating a portfolio with maximum diversification while reducing risk. The expanded PDF version of this commentary can be downloaded here. 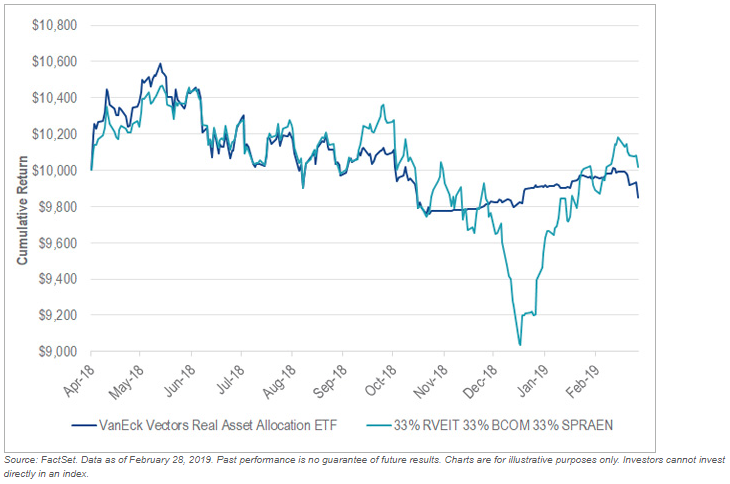 The VanEck Real Asset Allocation ETF (“RAAX”) returns to a full allocation in real asset sectors. Markets continued to recover in February, driven by the newly adopted policy of patience from the U.S. Federal Reserve (Fed). Global stocks were up, bonds were down, and real assets were mixed. 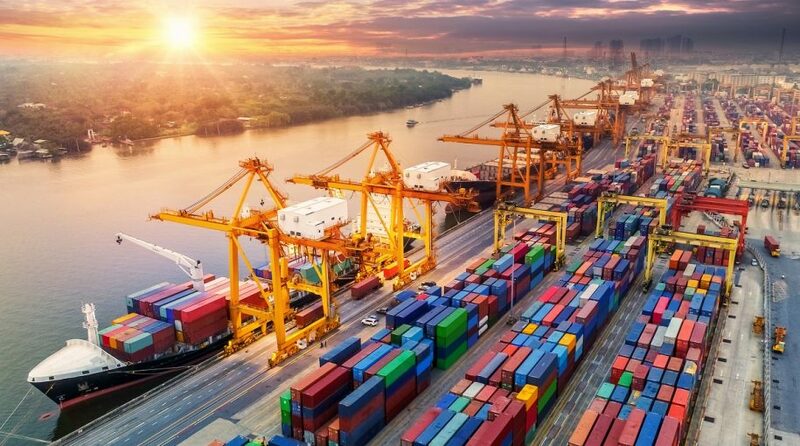 Now, all eyes are on economic activity and a potential trade deal with China. Risks have diminished across real asset investments. RAAX turned bullish on almost all real assets based on positive price trends, normalized volatility, strong commodity prices, and supportive macroeconomic and fundamental factors. This marks a big shift from last month’s strongly defensive posture. Gold pulled back slightly in February, but the bull case for the precious metal remains intact; slowing economic growth and trade tensions with China create a heightened risk regime, and a dovish Fed creates headwinds for the U.S. dollar. The table presents past performance which is no guarantee of future results and which may be lower or higher than current performance. Returns reflect temporary contractual fee waivers and/or expense reimbursements. Had the ETF incurred all expenses and fees, investment returns would have been reduced. Investment returns and ETF share values will fluctuate so that investors’ shares, when redeemed, may be worth more or less than their original cost. 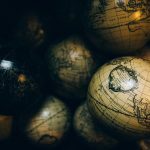 ETF returns assume that distributions have been reinvested in the Fund at “Net Asset Value” (NAV). NAV is determined at the close of each business day, and represents the dollar value of one share of the fund; it is calculated by taking the total assets of the fund, subtracting total liabilities, and dividing by the total number of shares outstanding. The NAV is not necessarily the same as the ETF’s intraday trading value. VanEck Vectors ETF investors should not expect to buy or sell shares at NAV. 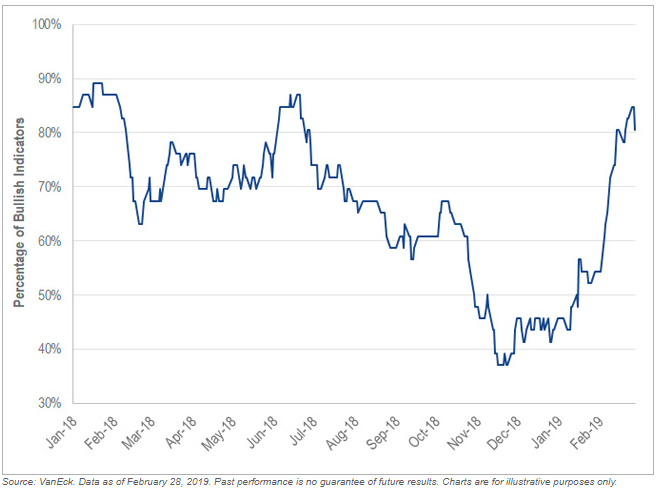 Performance for the VanEck Vectors Real Asset Allocation ETF (RAAX) was flat in February. RAAX was 20% invested in gold bullion and 80% invested in T-bills. While gold bullion was down slightly last month, this was offset by the incremental yield earned from holding T-bills. In February, there was a significant dispersion in the returns of real asset investments. Some assets were up, such as global infrastructure and MLPs. Other assets were down, such as gold and coal equities. And other assets posted marginal returns, like unconventional oil & gas and agribusiness equities. RAAX transitioned from its strongly defensive posture to a fully allocated, diversified portfolio of real asset investments. It now holds a 33% allocation to gold and gold equities, a 30% allocation to natural resource equities, a 20% allocation to global infrastructure, a 12% allocation to REITs, and a 5% allocation to MLPs. RAAX is now fully engaged in the market. It no longer holds T-bills, rather a well-diversified portfolio of real asset investments. Real asset prices are up significantly from the lows of late December. So, why buy them now? RAAX waits for risks to subside before re-engaging. Most real asset price trends have turned bullish, volatility has subsided, and many of the macroeconomic and fundamental factors are supportive of real assets. Historically, these conditions have coincided with healthy growth in real asset prices. Below is an aggregation of all the indicators that drive RAAX. Currently, 80% of the indicators are bullish, up from a recent low of 37%. 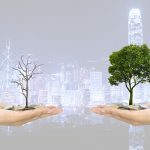 As of the end of February, the Fund’s benchmark, a hypothetical basket of diversified real assets (without fees or transaction costs), is at the same levels it was in October of 2018, and lower than it was at the beginning of 2018. Investors in RAAX, since its launch in April of 2018, generally finished in the same spot as those who bought and held such a basket of diversified real assets. But how RAAX investors got there was much more pleasant. RAAX avoided the bulk of the drawdown and, most importantly, transitioned to an ultra-low volatility and highly uncorrelated asset when they needed it most. This chart shows the significant decrease in volatility in RAAX when volatility was quickly accelerating in other assets. And, because RAAX was making money when other risky asset classes were losing money, it became negatively correlated and added much needed portfolio diversification.